It's comforting to have a Cat Nurse around when you are feeling under the weather. 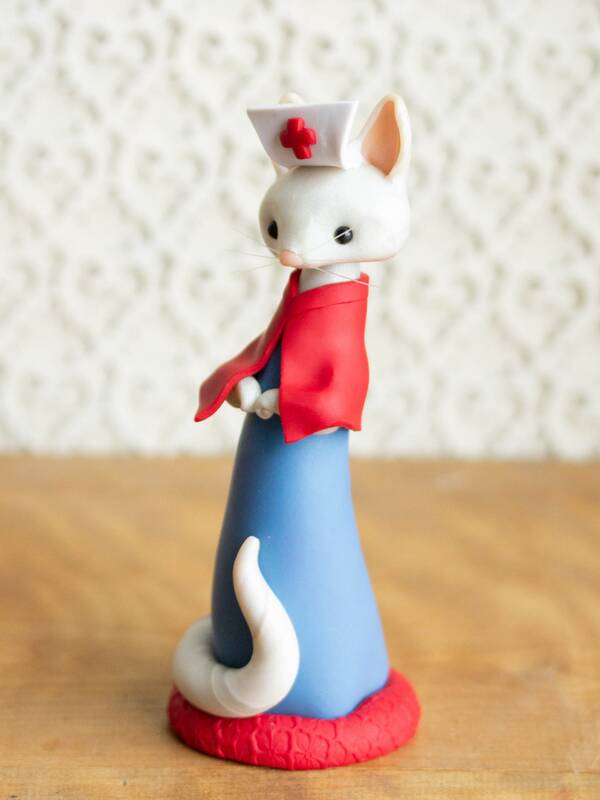 This Cat Nurse wears a traditional, old world nursing uniform: white nurse cap with a red cross, blue gown and red cape. She will keep an eye on you or someone you love. 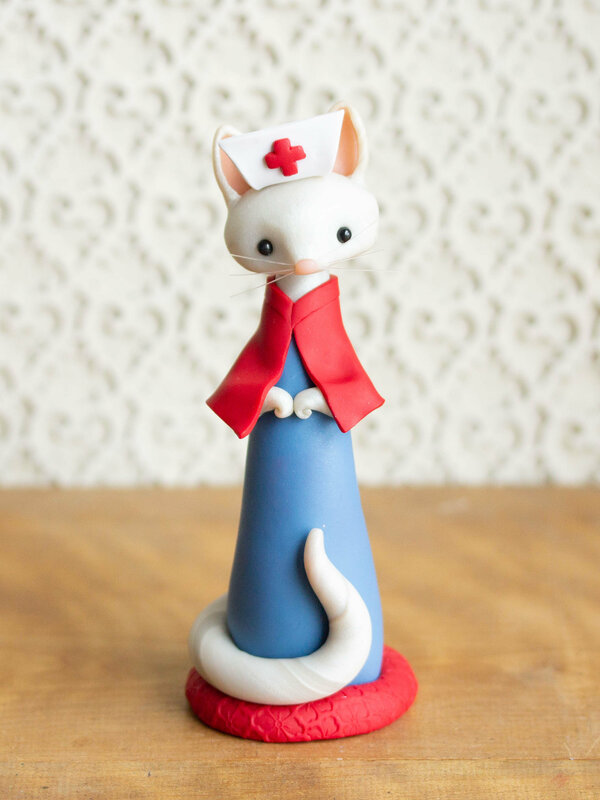 This unique, handmade, collectible Cat Nurse has long, transparent, flexible whiskers and a long serpentine tail. 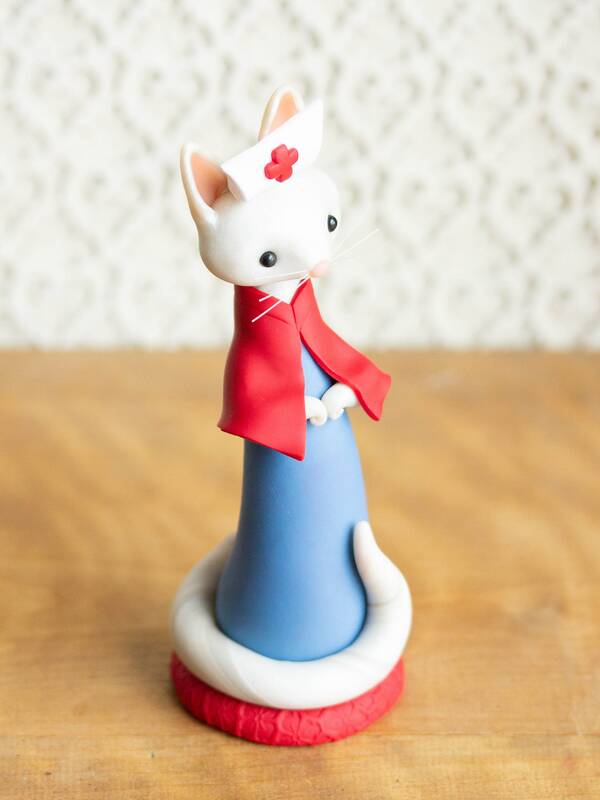 I sculpted her by hand with a pearly white polymer compound that has a subtle sparkle and marbling. 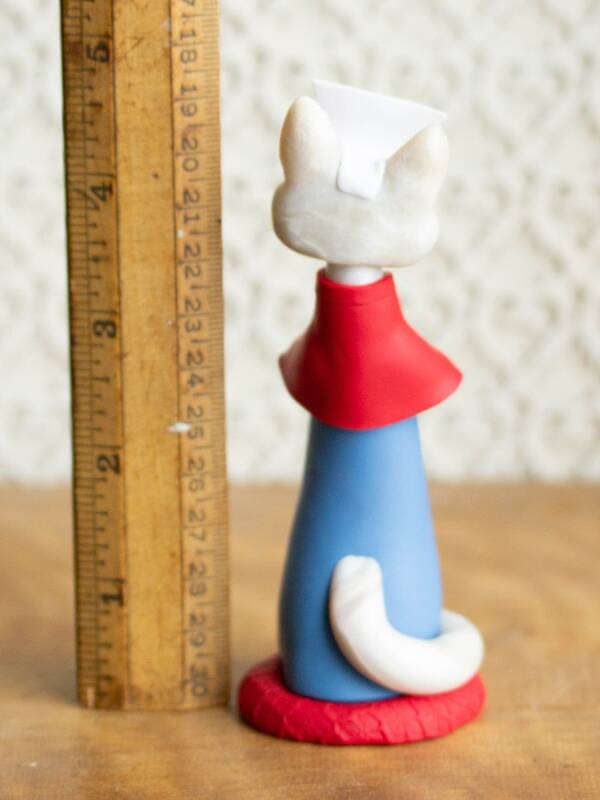 Her eyes are Swarovski Pearls and she stands upon a red base at just under 5-inches tall. As soon as payment is received, I'll confirm the shipping date. You'll receive shipping confirmation once she's on her way, and a tracking number, if available for your country. 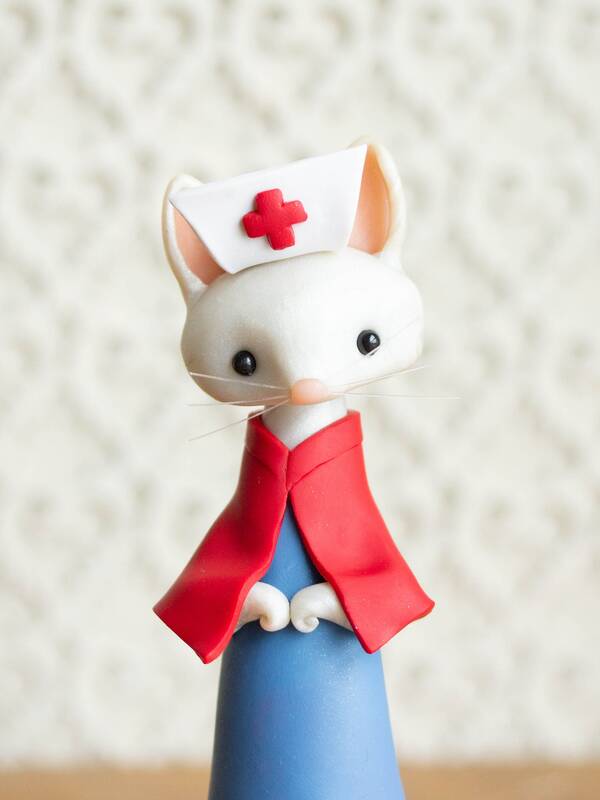 I can not tell you how much I love my cat nurse poupette by Sofie. She has an adorable presence that I'm excited to add to my collection. Wonderful wonderful work! 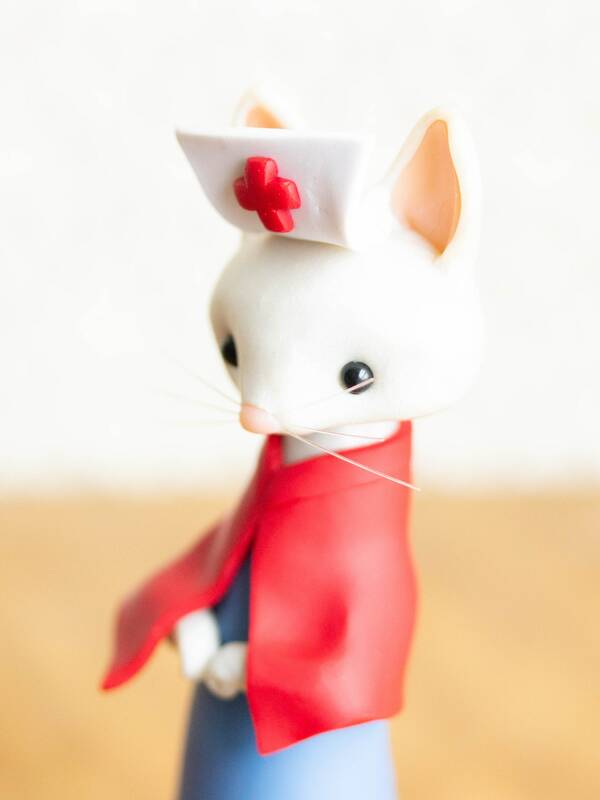 So cute and so well-made, very happy with my purchase. And thank you for such fast shipping! It was perfect. 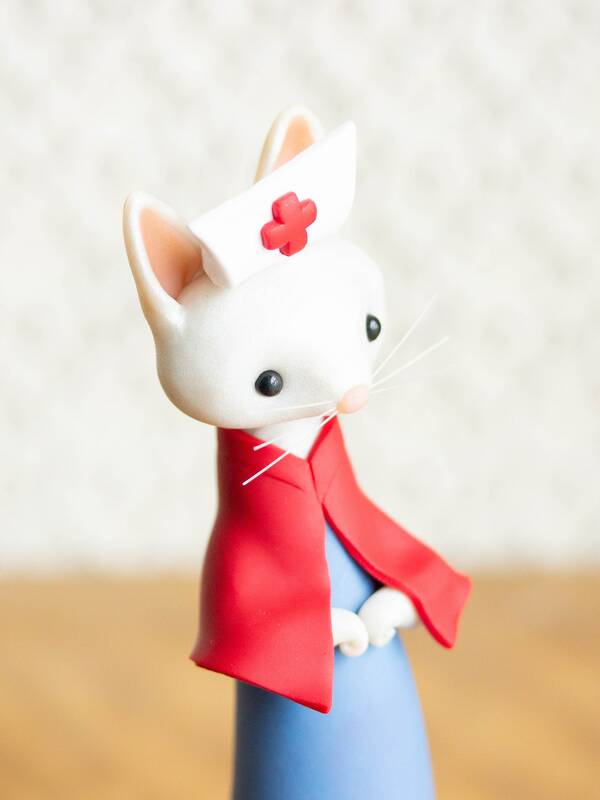 I gave it to my daughter on completion of her nursing degree. She loves it!! !